​The Los Angeles Lakers are a mess without ​LeBron James. The team has looked so bad that Cleveland Cavaliers big man Tristan Thompson, not exactly known for his ball handling skills, made the Lakers' Lonzo Ball look like a fool during Sunday's game. 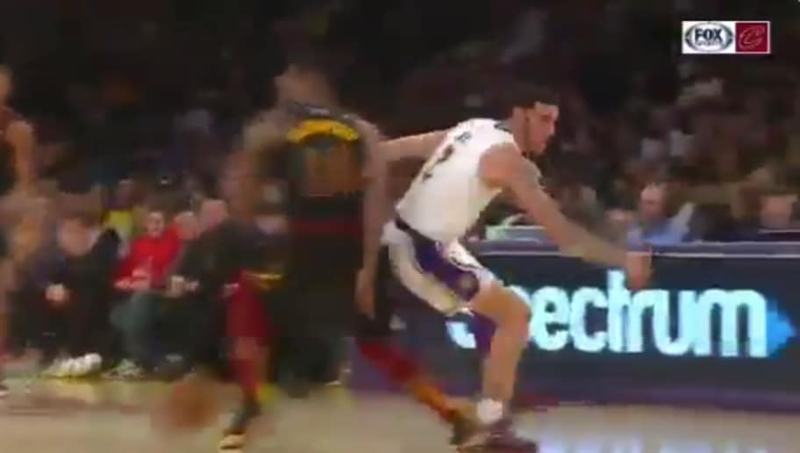 ​​Lonzo Ball looked more like his father LaVar trying to cover Thompson in that sequence. This team looks so hopeless without James that even the ​general manager is pacing around in frustration. It's like James never left Cleveland. As great as James is, he can't do everything by himself, as we were reminded last year when the Warriors swept the Cavs in the NBA Finals. Somebody on this Lakers squad needs to step up soon to keep the team above water until James returns from his injury, because the way these young players are performing right now, it really doesn't look like LA will be getting their hands on Anthony Davis in the near future.